Michael J. Graetz is the Wilbur H. Friedman Professor of Tax Law and the Columbia Alumni Professor of Tax Law at Columbia Law School. He is also the Justus S. Hotchkiss Professor of Law Emeritus and Professional Lecturer, Yale Law School. Before coming to Columbia in 2009, he was the Justus S. Hotchkiss Professor of Law at Yale University, where he had taught since 1983. Michael J. Graetz is the Wilbur H. Friedman Professor of Tax Law and the Columbia Alumni Professor of Tax Law at Columbia Law School. He is also the Justus S. Hotchkiss Professor of Law Emeritus and Professional Lecturer, Yale Law School. Before coming to Columbia in 2009, he was the Justus S. Hotchkiss Professor of Law at Yale University, where he had taught since 1983. Before Yale, he was a professor of law at the University of Virginia and the University of Southern California Law Schools and Professor of Law and Social Sciences at the California Institute of Technology. His most recent book is The End of Energy: The Unmaking of America’s Environment, Security and Independence, published in spring 2011 by MIT Press. His previous books include 100 Million Unnecessary Returns: A Simple, Fair, and Competitive Tax Plan for the United States (Yale University Press, 2008); Death by a Thousand Cuts: The Fight over Taxing Inherited Wealth (Princeton University Press, 2005); True Security: Rethinking Social Insurance (Yale University Press, 1999); The U.S. Income Tax: What It Is, How It Got That Way and Where We Go From Here (W.W. Norton & Co, 1999) (a paperback edition of the book originally published as The Decline [and Fall?] of the Income Tax) and Foundations of International Income Taxation (Foundation Press, 2003). He is also the co-author of a leading law school coursebook, Federal Income Taxation: Principles and Policies (Foundation Press, 2009). His publications on the subject of Federal taxation also include more than 60 articles on a wide range of tax, international taxation, health policy, and social insurance issues in books and scholarly journals. During January-June 1992, Michael Graetz served as Assistant to the Secretary and Special Counsel at the Treasury Department. In 1990 and 1991, he served as Treasury Deputy Assistant Secretary for Tax Policy. 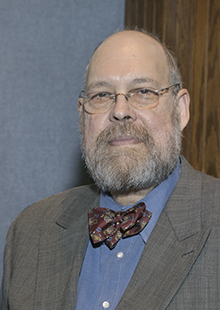 Professor Graetz in 2013 was awarded the Daniel M. Holland Medal by the National Tax Association for contributions to the study and practice of public finance. He has been a John Simon Guggenheim Memorial Fellow, and he received an award from Esquire Magazine for courses and work in connection with provision of shelter for the homeless. He served on the Commissioner's Advisory Group of the Internal Revenue Service. He served previously in the Treasury Department in the Office of Tax Legislative Counsel during 1969-1972. He is a fellow of the American Academy of Arts and Sciences. Professor Graetz is a graduate of Emory University (B.B.A. 1966) and the University of Virginia Law School (J.D. 1969). A native of Atlanta, Georgia, Michael Graetz is married to Brett Dignam and has five children.